​📧 Stay up to date with email notifications! You can now be notified by email when a new comment has been created on any of your pages or when there is a new reply in a thread or an activity you participated in! Fix non encoded XML characters (&, <, >, ', ") that can happen in the sitemap for the title/description. ​🖼 Header for spaces is now optional! With or without header is for you to choose: new spaces will no longer have a header in order to let you focus on what you're writing in GitBook! No worries, you can still add one in your customization settings. A sitemap is generated for each space to improve SEO: All of a space's pages can be now indexed with Google in one shot. (example). ​🏡 Redesign of our home page and the dashboard: it was time for a spring clean and a new design sprouted in the process. With this major update, we kept in mind the general experience. Let us know what you think of it! ​⚙ Settings at fingertips: You can now easily access and change you space settings: domains, visibility, themes and many more! Previously each project and the dashboard lived on separate domains, so switching between them required a full app reload. Now, switching between spaces and teams is instant. You won’t stare at your screen for too long anymore! For authenticated users, everything now happens on app.gitbook.com. We no longer authenticate users on custom domains, so private custom domains will redirect you to app.gitbook.com and public domains will show your content as it appears to end-users. For public docs will show your docs as they appear to end-users. Access to important information is now easier, directly from the footer: support, feature requests, documentation or keyboard shortcuts and more. Fixed a visual bug with the API Method select menu. Improved compatibility with older browsers that do no not support internationalization features. 🌍Changed our service infrastructure to resolve issues accessing GitBook from some regions of Eastern Europe. 🛠Improved to the editor in various ways which should reduce random crashes when editing. ⛑Fixed a bug that would erase an editing session backup before it could be restored. 🎯Improved page loading time by optimizing our icons rendering. 🐙Fixed a bug that would trigger a GitHub synchronization from GitBook to GitHub after deleting a branch or tag on the repository. Fixed a bug with our service status banner which was returning an error page when accessing your dashboard. Links in comments are now highlighted, and they will no longer overflow from the comment box. Fixed undesired scrollbar appearing in tables containing emojis. 🐌Fixed an issue in previous release that was making editing impossibly slow. 💬 Writers can now comment drafts and content! The activity panel is now filled with events such as comments, edits, draft creation and merge. Read our announcement blog post. 🎨 You can now use full-sized logos (such as logotypes) for your spaces. Changes in the Table of Contents have been redesigned and no longer requires all page and groups to be expanded. This should greatly improve the readability on larger spaces. Increased size limits for uploaded files and image from 10MB to 25MB. Fixed a bug introduced in the previous release, where conflicts indicator would no longer be displayed near page titles in the Table of Contents. Fixed missing description meta tag in page's HTML. Fixed a bug that prevented legacy organization with a name of less than 3 characters from migrating to the new GitBook. Fixed a bug that would add extra invisible characters or remove newlines when copying content from GitBook, which was particularly bothersome for code snippets. Fixed a bug that would make avatars on spaces appear gigantic to visitors using Safari or iOS. Fixed a bug preventing images and links from being deleted inside table cells. Fixed crash when visiting a page including a file block and the file that was deleted. Fixed a bug that would fail to export larger spaces or organizations data. Improved the dynamic display of dates to not update every second like a countdown. ​⚠️Only evergreen browsers are now supported (the latest versions of Chrome, Firefox, Edge and Safari). This will reduces the amount of assets to download to use GitBook and will improve overall performances. Internet Explorer in particular is no longer supported, it represented less than 4 visitors out of 10,000. Fixed redirection and broken app when opening a page containing the name of the space in its URL. Improved the page output for empty Markdown files when using the GitHub integration. Content caches are cleared in more scenarios (content update, space renaming, etc.). Visitors should now load an always up-to-date version of the page. Fixed GitHub sync generating large diffs when using page groups. This will make for a better conflict resolution during draft merging. Fixed a bug that prevented from loading older revisions in the activity history panel. ​🎨We overhauled the spaces interface to unify and streamline the navigation across GitBook, notably between spaces. We also reworked the editing interface to be light and efficient. The blue Controls Bar is gone, replaced by a Controls Center panel on the left. The blue Controls Bar for logged-in users is gone, which means more vertical space available when editing your content. Improved application reactivity and stability thanks to a refactor of the UI components and styling strategy. Loading time should now be faster and UI should no longer flicker. You can now quickly switch between your organization and spaces from the Space's Control Center. Changed wording for drafts and revisioning: "Publish" is now "Merge", and the "Published" version is now called "Current". Customization of a space's color no longer requires a page reload to be visible. Space headers have been redesigned to have better vertical alignments, to adapt to title size, and to never hide the search bar on small screens. Organization logos and user pictures are now consistently circular, to be distinct from space logos which are square. Prevent empty line from being inserted when writing an image caption and hitting Return. Fixed an issue that prevented to insert a link in a list and press Return. Fixed preview of images imported from GitHub in the assets manager. Fixed a bug during conflict resolution that would sometimes crash the page when displaying avatars near conflicting changes. Prevented the creation of page with duplicate paths that could occur after publishing a draft. Organization owners can now be added to teams like normal members, even though they always have access to all spaces. You can now define a default role for members joining your organization using Single Sign On. SSO login on a space no longer redirects to the organization's dashboard, but to the space as expected. ​🇷🇺 Users in Russia should no longer have issues loading images and other documents on GitBook. Improved error message during GitHub synchronization to be more specific and point to a faulty page when possible. Removed unused bio from user profiles. Fixed a bug that prevented from using the search bar after being going through a page redirection. Session is now correctly cleared when you delete your account. ↪️Changing a space's URL now creates a permanent redirection to the new URL. 🎬Greatly improved the quality of embeds (videos, sheets). Resolved issues with size and position of embedded content. Content served on non-secure protocol (HTTP) are no longer embedded. 🐞Fixed failures of the GitHub import when page titles or descriptions were too long. 🐞Fixed selection issues when double or triple-clicking to select. 🐞Fixed a bug when creating a team from a space's settings. 🐞Fixed a bug that would crash the app when resolving conflicts and deleting a block using Backspace. 🔓Fixed a bug that could reveal to the user the password he/she entered during sign-up and sign-in. The risk for people affected by this bug was that someone peeking at their screen during sign-up or sign-in could see the password that was entered. All passwords are still encrypted and then hashed by GitBook. Fixed a bug with the GitBook trademark that would crash the page for anyone visiting content made with GitBook, without being logged in. 👤It is now possible to create spaces under your personal account! You do not have to create an Organization for these spaces, but you won't be able to invite people to collaborate on them as long as they are under your personal account. ⚠️Errors when saving a draft are now properly displayed. In the past, it would just do nothing, so you could be misdirected as to whether your changes were saved. 🦋Fixed syntax highlighting in code blocks that was no longer visible for most languages. 🐞Fixed alert banners appearing the mobile menu and the space's settings menu. 🐞Fixed an error that would prevent saving your changes after canceling a conflict resolution. 🐞Fixed a bug that would make formatting (such as bold and italic) very hard to escape when using Markdown syntax. 🐞Fixed crashes when hitting Enter inside a content tab item's title. 🦊Added a warning to our dear Firefox users who are trying to edit content on GitBook. Read our blog post about it. ⛔️Added a warning when you are above the usage limits granted by your current plan. 🐞Fixed a bug that would remove your existing membership to organizations when you joined a new organization using Single-Sign-On. You can now expand a page and its children in the general Table of Content without navigating to the page. Links to custom domains that are no longer used will now respond with a 404 Not Found error. A series of various fixes for bugs introduced in the previous release, including private spaces returning a 404 Not Found error instead of redirecting to login. 🔗You can now generate a shareable links for your private spaces. Share this secret link to people you want to be able to read your private content. 👨‍🎨New design for the table of contents in the sidebar! It's prettier, smoother, and easier to edit than ever. 🛎The GitHub synchronization is now correctly triggered if you updated nothing but your .gitbook.yaml . 🗝Making a space private now correctly clear any trace of it from our servers cache, ensuring the content was public can no longer be served publicly. Before, it would take some time before cached content would stop being served. 🦆You can now migrate from the legacy GitBook even if your repository had another branch than master as default branch. 🐞Fixed a bug that prevented reconfiguring which branches are synchronized with GitHub. 🐞Fixed missing borders for tables in Firefox. 🐞Fixed GitHub export of tables containing lists. They are now exported as HTML to be Markdown compliant. 🤭Fixed drag and drop of pages, that was no longer working since the last release. 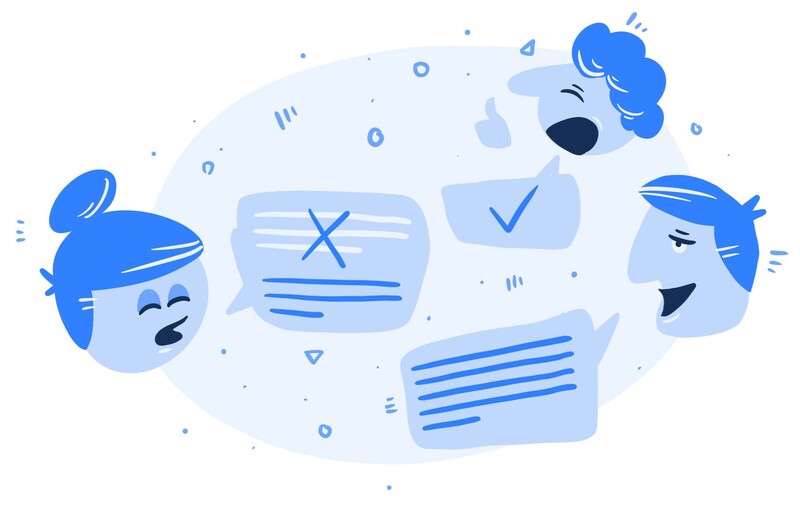 🥂You can now resolve change conflicts inside GitBook! We even wrote an article for you. 🛠We searched and destroyed a bug that prevented a lot of writers to publish their drafts. 🖼Sharing a space on the social media now shows a thumbnail even if the space has no logo. 👥If you are invited to an organization, you won't have to step through our phone verification protective process. ✨We have greatly improved copying and pasting around tables. 💳Fixed an error that would not migrate an organizations' subscription to the new version. 💅Fixed a few design glitches: profile menu on mobile and overlapping "Edit on GitHub" button, among other things. 🛠Fixed a few issues: an error with the right table of content, invalid selection when inserting a new list and the dashboard space popover, among other things. ✉️You can now insert mailto links. 🔎The option to make your space unlisted is now a sub-option of public spaces. 🛠Fixed an issue that prevented some user accounts to be deleted. ☎️We have restored the Sign Out button in the phone verification page, so that you're not locked into an unconfirmed account. 📂We have reorganized the space settings in more logical sections. Feels good! 🎨We made a new and shiny color picker for your space, so you can choose that ONE color among 16 millions. 🖼We also redesigned the space logo uploader, so you can drop that bass file! ⚠️The GitHub sync errors in your spaces are now more detailed. This should help you understand better what's going wrong. ⏰We delayed the end of the beta to 15 of September, to give you some more rest. 🛠You can now properly examine the details of your SSO configuration when you've enabled it. 💵Some invoices could not be generated when using coupons. This is fixed. 🏎We optimized the dashboard for people with legacy organization to migrate. 🛠Fixed a bug that prevented exporting tables to GitHub. 🛠Fixed a bug when importing links inside links from Markdown. 💖Tables received a lot of deserved love! They were arguably terrible to edit. Now editing them should be really smoother... and prettier! 🎛Lists styles can now be toggled from their controls. ℹ️You can now change hint styles by clicking their icon directly. This should save you some precious time! 🌳Can't choose which GitHub branches to sync? We now offer an option to sync them all, no questions asked! 💬Intercom Integration is now live ! Fixed an error when pressing Enter after having selected images. We are encountering jobs and requests timeouts for some large content. We have put in place a few measures to mitigate these timeouts until we find a fix. Emojis (and other unicode characters) are now correctly parsed in their escaped HTML form. 🚀 Major update to our internal WYSIWYG engine, which should improve editing stability and performance. Visiting a revoked invite link now properly inform that the invite was indeed revoked. 🚫 Adjusted our spam protection system and added phone verification instead of blocking users detected as malicious. Fixed errors coming from missing logos that prevented new project creation. Fixed a bug that prevented an organization owners from adding himself/herself to a team. Fixed a bug that prevented editing space header links. Fixed a few UI errors that sneaked in the Billing settings section. Fixed a bug when filling credit card infos. Improved stability of the books migration process.